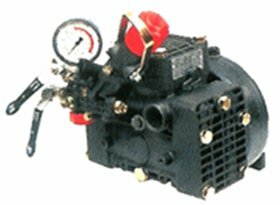 UDOR KAPPA SERIES DOUBLE DIAPHRAGM PUMP Pump with gear reduction for 4-6.5 HP Gasoline engines with 3/4" shafts. Max. Pump Speed - 540 RPM.